The Crystal Clear Vision Event at MayaPalooza! Design and linens by Waterford Event Rentals. Florals and columns by Botanique. Ice sculpture by Ice Art. Uplighting by Blue Steel Lighting Design. 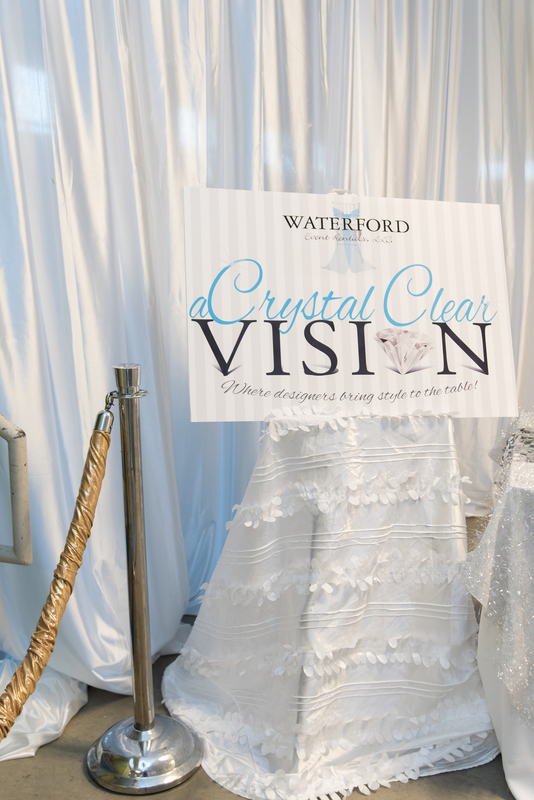 I can't believe it's almost been two months already since the Crystal Clear Vision Event at MayaPalooza! This event is one of my favorites every year, because we fill the room (literally floor to ceiling) with gorgeous wedding day inspiration for brides and grooms in Hampton roads. I'm so excited to share some of my favorite photos from the event! The team at Antonia Christianson Events did so much work planning the logistics of this event with Waterford. I have no idea how they found time to design such a gorgeous coastal inspired table on top of all of that! Table design by Antonia Christianson Events. Florals by Isha Foss. Calligraphy by Letterlyn. Invitation suite by RSVP Stationary. Linens by Waterford Event Rentals. Uplighting and hanging element by Blue Steel Lighting Design. 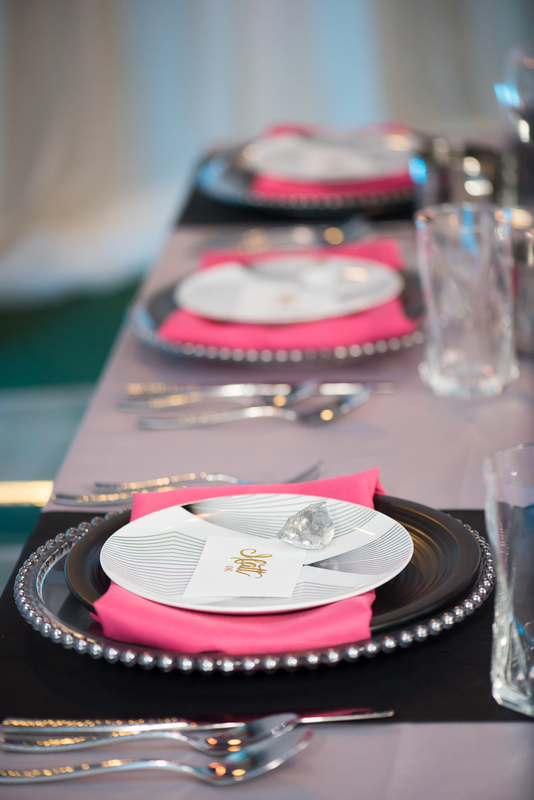 As You Wish created a bold, modern tablescape, bringing back the classic black and pink color combination! Table design by As You Wish. Florals by Fluttering Flowers. Calligraphy by Salty Sweetie Designs. Linens by Waterford Event Rentals. Uplighting and hanging elements by Blue Steel Lighting Design. Marlene Events layered ivory and gold pieces to perfection with their stunning table design! 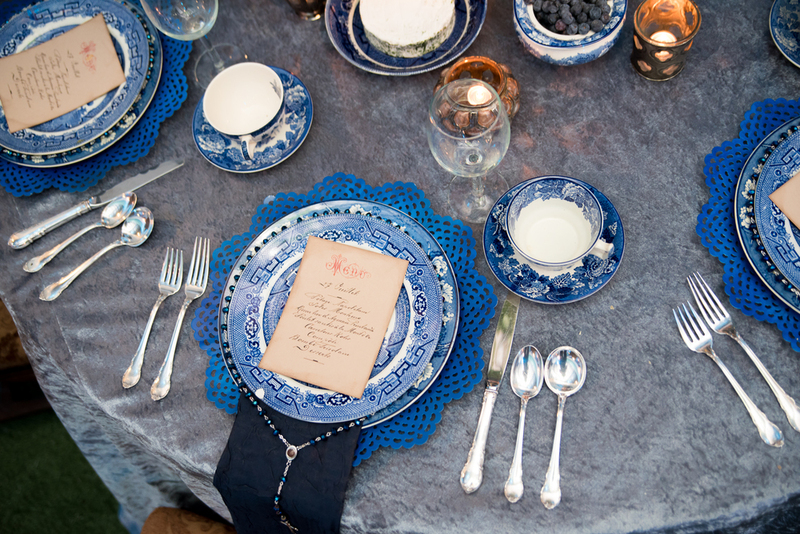 I loved the romance of their intricate place settings! It was almost like stepping back in time! Table design and florals by Marlene Events. Linens by Waterford Event Rentals. Uplighting by Blue Steel Lighting Design. Every year, the ladies of Palette of Petals put together a real show-stopping table design. This year's design was inspired by a gothic romance novel. Not only did they build this impressive arched rental piece, decorate it with greenery, and create a stunning centerpiece, they even created a floral cloak for their model to wear. Table design, archway, menu cards, and florals by Palette of Petals. Linens by Waterford Event Rentals. 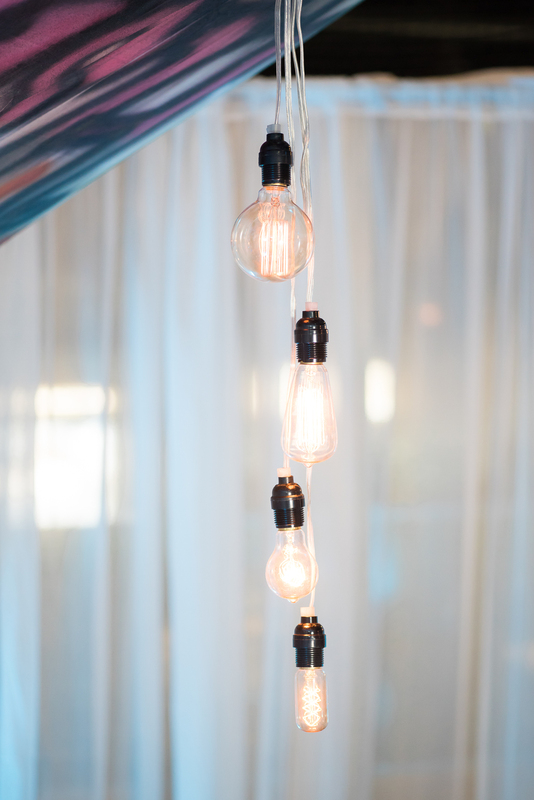 Uplighting and hanging element by Blue Steel Lighting Design. Model: Piper of Palette of Petals. Incredible, right? And there were 18 more tables as gorgeous as these! I can't wait to see how the ladies of Waterford Event Rentals make this event even more amazing next year! Older PostWe're Out of the Office!